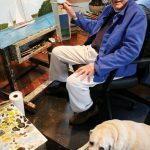 Now that he's turned 90, Ray Ellis might be considered the resident patriarch of Martha's Vineyard landscapes and seascapes. "Tape" launches the season with performances from June 2 through June 18. Written by Stephen Belber in 1999, the play is directed by Claudia Weill. How did you begin your career as a real estate professional? What steps would you advise a property owner to take when he or she is choosing a broker or a real estate agency? 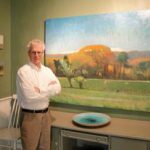 Landscape painter Allen Whiting has much to celebrate this summer: his 65th birthday, his 40th year as a professional artist, and his 30th year as proprietor of Davis House Gallery on State Road in West Tisbury. 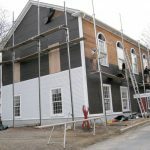 Just in time for its 2011 season, the Vineyard Playhouse is ready to strut its stuff: new windows, clapboard siding, vertical trim, fresh paint on three sides of the building, and sprinkler system improvements, all accomplished as a result of the capital campaign launched last summer. While there are modest signs of new life in the spring housing market, real-estate brokers are quick to point out that the Island is not yet rebounding. 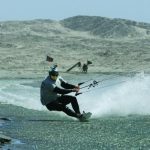 On October 28, 2010, Rob Douglas set a new outright world speed sailing record when he achieved an average speed of 55.65 knots on a 500-meter course in Luderitz, Namibia. When Melissa Breese, artist and art educator, was appointed director of The Martha's Vineyard Art Association (MVAA), four years ago, she knew she'd have her hands full. 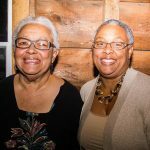 There's been a changing of the guard at Featherstone Center for the Arts in Oak Bluffs, but former executive director Francine Kelly did her best to ensure that her own energy, vision and spirit remain: She recommended that her daughter, Ann Smith, her assistant for the past three-and-one-half years, succeed her as the new executive director. As the real estate market on the Island has surged and slackened over the past 10 years, both buyers and sellers may find themselves befuddled as they try to determine a property's real worth today. 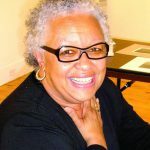 Now that summer is winding down, Featherstone Center for the Arts executive director Francine Kelly has a few moments to reflect on what she calls a "very prosperous season. 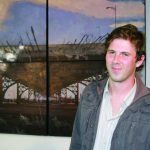 West Tisbury native Max Decker is a Brooklyn-based musician and, during the summer months, a painter who shows his work at PIKNIK Fine Arts & Apparel gallery in Oak Bluffs. While other 24-year-olds might worry about where to meet their friends on a Saturday night, or how they'll make their car payments, Lizzie Edwards of Edgartown broods about how to help the people of Oyugis, Kenya, understand AIDS prevention, birth control, malaria, nutrition, environmental issues, and economic development. It's hard to tell if the glow in the sunlit living room comes from Stephanie Danforth's incandescent paintings or from her expression as she describes the decade she's spent as a full-time artist and humanitarian. 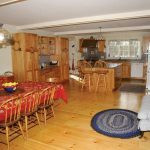 Price your house correctly from the beginning. 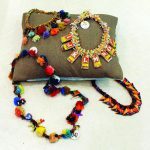 That's the question we sought to answer when we visited Michael Hunter, gallery owner and fashion stylist, Stina Sayre, clothing designer, Ronni Simon, and Beth McElhiney, both jewelry designers and gallery owners. Island real estate brokers are speaking in optimistic terms about home sales this summer. 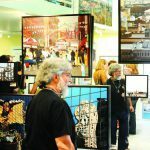 It's hard to imagine how an exhibition of urban-themed paintings can provide a breath of fresh air on Martha's Vineyard in mid-August, but gallerist Michael Hunter's annual Urban Event at Piknik Art & Apparel in Oak Bluffs does just that.